NOTE: This is a long, information-packed article on the Causes, Treatments and Early Symptoms of Parkinson's Disease. To make it easier to navigate, use the Table of Contents button to your right! Parkinson's disease is a neurological degenerative disease that often develops gradually, starting with a barely noticeable tremor. But although an individual may notice the tremor first, upon further examination with the physician, doctors are often able to discern earlier symptoms which indicate the progression of Parkinson's disease. 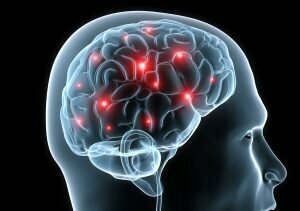 The neurotransmitter, dopamine, is responsible for the communication of electrical impulses that control muscle motion. The symptoms of Parkinson's disease are a result of the loss of a neurotransmitter. A neurotransmitter is a chemical in the neurological system that is basically a chemical messenger. These messengers communicate across the neurological synapses to produce muscular movements. In this instance the neurotransmitter which is lacking is called dopamine. Although physicians are well aware of why the symptoms of Parkinson's disease occur, they are unable to determine why that area of the brain becomes damaged in the first place. Although scientists are able to pinpoint why the dopamine is no longer being produced they are on able to determine a cause for the death of his substantia nigra and the subsequent loss of dopamine. This lack of ability to document a cause for cell damage is called idiopathic Parkinson's disease, which means no specific causes found. Rarely however, causes such as head trauma, toxins or drugs can induce the symptoms of Parkinson's disease. At other times there are genetic causes that may be suspected. In the case of idiopathic Parkinson's disease some researchers theorize that free radicals, those molecules which are unstable and potentially damaging at the electron level, are responsible for damaging the substantia nigra. Others believe that dysfunctional anti-oxidative mechanisms, also associated with free radicals, that are associated with Walter age may suggest that the acceleration of age-related dopamine production can be a factor. Research is currently under way to evaluate exposure to environmental toxins such as pesticides that may inhibit dopamine production and produce free radicals. Approximately one out of five of patients with Parkinson's disease have at least one relative with the symptoms suggesting that a genetic factor may be involved. However, at this time, no genetic markers have been identified. For the most part however, researchers believe that most cases are not caused by genetic factors alone. This means that although an individual may be predisposed to Parkinson's disease, researchers believe that other environmental factors must trigger the response in the brain to develop the disease. Although researchers are not able to definitively pinpoint a clause for Parkinson's disease, and therefore cannot begin to identify ways to prevent or cure the disease, they do will understand the factors behind the symptoms and can therefore develop effective treatment protocols that help individuals with Parkinson's disease to function better in their environment. Unfortunately, the body becomes unable to use the external dopamine that is supplied via pill form for extended periods of time. Research is currently underway to develop more effective treatment protocols. Parkinson's disease will begin with a very subtle signs and sometimes this early stage can go on for several years before more characteristic tremors and symptoms of Parkinson's Disease become evident. Some of these early symptoms of Parkinson's can even be attributed to the normal effects of aging or other medical conditions such as arthritis. Early symptoms of Parkinson's disease can include becoming overly tired with a general ill feeling which the individual cannot pinpoint to any single cause. Sometimes the voice becomes very soft and others cannot hear what the individual is saying. Writing can become cramped or spidery, individuals can lose track of the word or thought, or become depressed for no apparent reason. Although a “mask like face” is more indicative of latter stage Parkinson's disease, it can also appear as one of the first symptoms of Parkinson's. This lack of expression or animation can also include things like staring or a lack of blinking. Some individuals notice that they do not swing their arm while walking as they normally would or that their gate has become a bit stiff and unsteady. While individuals may notice some of these signs and symptoms of Parkinson's, they may attribute them to other medical conditions they already have or to the effects of aging. However, once they notice significant tremors, it is more evidence that something deeper is going on. Tremors in Parkinson's disease occur when the muscle is at rest and begins to twitch. In an effort to alleviate that twitch, many people develop the habit of rubbing their first two fingers together as if they were forming a ball. This motion often keeps the tremors from beginning. Another one of the early symptoms of Parkinson's disease is a sensation that an individual is trembling from the inside. They can also have numbness, tingling or achiness in the neck or upper extremities. Some individuals complain of a frozen or painful shoulder. If you suspect that you have early signs or symptoms of Parkinson's disease, it is important that you do not ignore those symptoms but in fact seek the advice of your primary care physician for a thorough physical examination. Treatment of Parkinson's disease is like most other medical conditions, if found early individuals have a greater option of treatment protocols and can also choose to include medications or treatments which are still in the clinical trial period. In addition to seeing your doctor about your symptoms, there are natural remedies that can be of great benefit for the symptoms of Parkinson's. There is a huge controversy among researchers and the medical field that has been ongoing for some time regarding Parkinson's Disease, statins and low cholesterol. And, it gets very complicated while the ongoing research tries to come up with conclusive evidence to help solve the mystery. Cholesterol lowering statins are the world's biggest-selling drug. They are used to lower levels of low-density lipoprotein, LDL, which is described as the bad cholesterol. There are millions of people who are given this drug every day to lower their cholesterol and try to fight off heart attacks and strokes. But, the controversy is a result of studies which have shown a relationship between low LDL cholesterol levels and an incidence of Parkinson's Disease. Although it is generally a good thing to have low LDL cholesterol, in the case of Parkinsons, it seems to indicate a higher incidence of the disease. In fact, American researchers have discovered that patients who had low levels of LDL cholesterol were also more than three times more likely to end up developing Parkinsons Disease. This has led to some confusion as to whether or not the disease is caused by the statins, and low cholesterol levels or whether since the people who go on to develop Parkinson's Disease have low cholesterol, they are not taking statins so don't have any benefit from statins neuro-protective effect. On the one hand, patients who have low cholesterol levels all of their lives, will not go to their doctors for treatment that would require statins. Perhaps the statins would have provided some kind of protection from the disease? Or, is the incidence of Parkinson's Disease just related to the low cholesterol? On the other hand, perhaps because those who go in to have treatment for higher cholesterol levels are prescribed statins, it will lower the cholesterol levels resulting in a higher chance of Parkinsons Disease. So do statins play a part in developing Parkinson”s Disease, and if they do, what is the answer? If you are prescribed statins, it is to reduce the levels of cholesterol which can be dangerous to your health by causing heart attacks or stroke, so you cant just stop using them. There is increasing concern that as statin users hear results of some of the initial research, they will stop taking their statin medications, leading to complications from heart attacks or strokes. The conflicting research and interpretations of the findings has led to much confusion and misunderstanding. It is important to remember that statins have been proven to help reduce likelihood of heart attacks and strokes in those who had high cholesterol levels, so until there is more evidence to prove otherwise, it isn't advisable to stop taking the drugs. Whatever the case, the relationship between Parkinsons Disease, statins and low cholesterol levels cant be disputed. The problem is figuring exactly what roles each play, and how much of an effect they have on one another. TremorSoothe is a safe, non-addictive, natural herbal remedy containing homeopathic ingredients especially selected to temporarily control shakes, tremors, twitches and muscle spasms. TremorSoothe should be taken at the first sign of symptoms for the short-term improvement of muscular-skeletal and nervous system health. TremorSoothe is taken internally and works to support the neurological messages sent to various parts of the body including the hands, feet, arms, legs, torso, and face. Presented in small dissolvable tablets, this remedy is easy to ingest and hassle-free with no artificial colors or preservatives. Formulated by our team of experts in natural medicine, TremorSoothe is pharmaceutically manufactured to the highest standards. Learn more about TremorSoothe now.